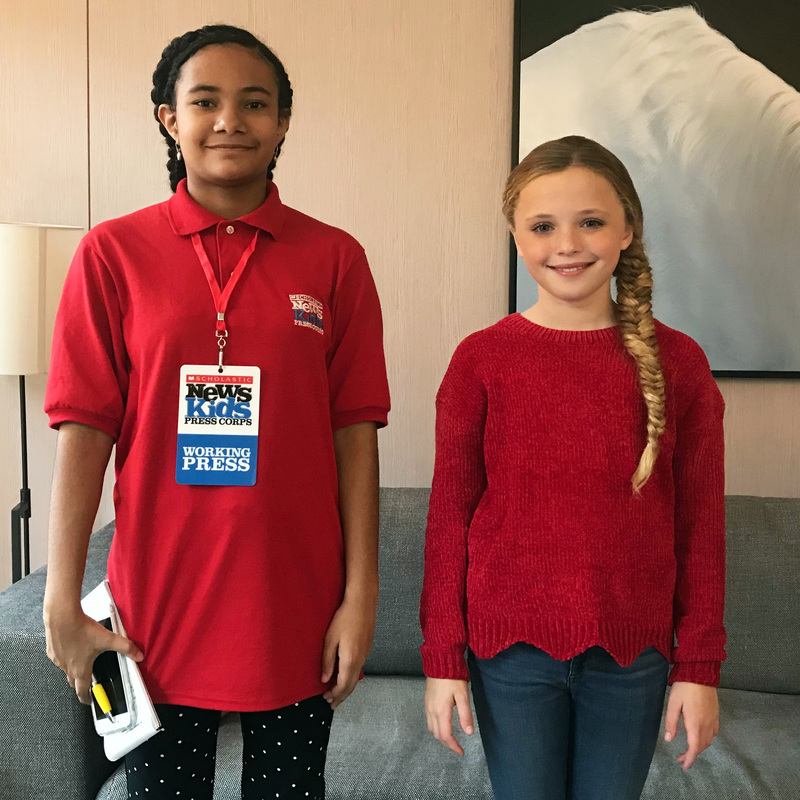 Return of the Grinch | Kid Reporters' Notebook | Scholastic Inc.
Marley with Cameron Seely, who voices Cindy Lou Who in the new movie about everyone’s favorite Christmas villain. So begins How the Grinch Stole Christmas!, a beloved children’s book by Dr. Seuss. A new animated movie based on the rhyming tale hit the big screen this month. The Grinch is a grumpy green grouch who lives high on Mt. Crumpet with his dog, Max. Every year, he suffers from afar as he watches the people of Who-ville get ready to celebrate Christmas. One year, after he has had enough, the Grinch decides to steal Christmas. In this version of the film from Illumination and Universal Studios, the character of Cindy Lou Who is embarking on another Christmas caper. She wants to capture Santa Claus so that he can grant her a special Christmas wish. Will her dream be fulfilled, or will the Grinch succeed in ruining Christmas? Marley talks with actress Cameron Seely in New York City. What is the most important message in The Grinch? Be kind to everybody even if they aren’t kind to you. The Grinch is such an unhappy, unkind character, but then Cindy Lou turns that around. How are you and Cindy Lou the same? She always has her hockey stick, and I love to play ice hockey. We also have similar traits and a similar personality. My advice is to just do your best. You can’t always be perfect for the role you go for, but if you do your best and have fun with it, that’s all that really matters. What are you going to ask Santa Claus for this Christmas? Probably a new sketchbook or some more paint because I’m running out of paint.